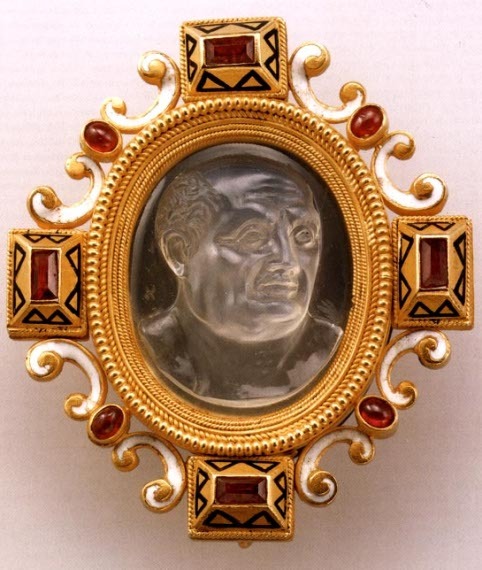 Brooch with cameo of a Roman emperor by Castellani and Sons, Rome. Soros, Susan Weber, and Stefanie Walker. The Castellani and Italian Archeological Jewelry. New Haven: Yale UP, 2004. Cat. no. 252.